Wild Bill Was The Nemesis of "Nervous Men And Timid Women"
Finishing up our big Wild Bill Hickok package for the November issue of True West. Pulled out an earlier study and give it another layer. 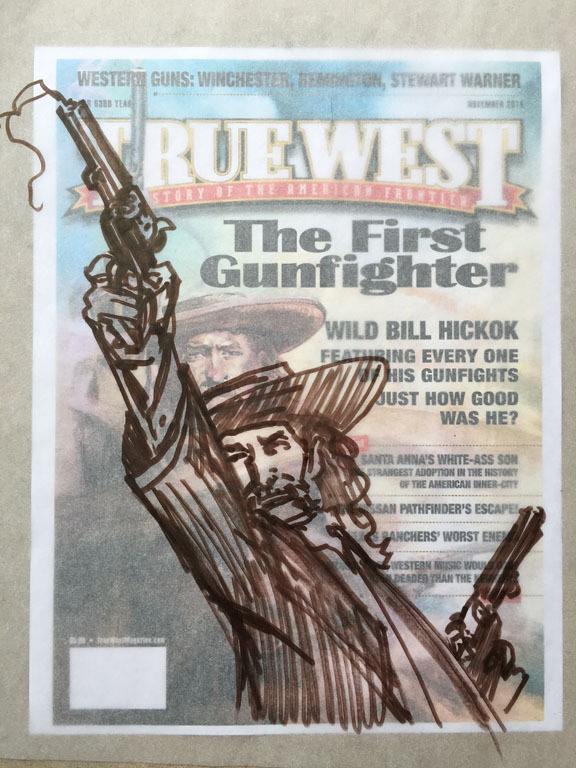 I'll probably use this on my editorial page to illustrate how the tall tales about Hickok sent his legend soaring. Daily Whip Out: "Wild Bill Looms Large"
known as "Duck Bill," allegedly because of his prominent nose. mythical character who actually walked the earth as flesh and blood. of correspondence they married on March 5, 1876 at Cheyenne, Wyoming. 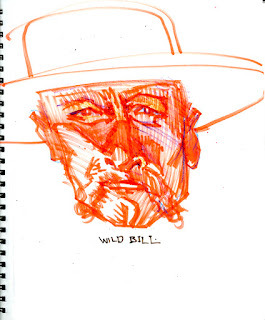 Wild Bill had five months to live. think about it. He never seemed to take any aim, yet he never missed." killed over a hundred, a long ways off." I went to see Hell Or High Water a couple weeks ago and I must say my son almost ruined it for me, but then, he saved it. "Don't bother," T. Charles emailed me from Thailand, when I told him I was going to see the film. He actually saw it the night before Kathy and I went to see it. This was the week it opened here in Scottsdale. Yes, they often get new movies in Thailand, sometimes before they're shown here. When we visited them two Christmas's ago, we actually saw The Interview which was held from release in the U.S. but not in Chiang Mai. Anyway, the local Arizona Republic movie critic, Bill Goodykoontz gave Hell Or High Water five stars and I was very excited. In his scathing critique, my son admitted the movie opens strong, but that the five stars only lasts for about the first ten minutes and then it bogs down and, I'm quoting him here, "The acting is horrible." I'm actually glad he said this, because it lowered my expectations and I ended up really enjoying the dang thing—sometimes when you go into a movie expecting five stars it can really be a curse and a letdown. Anyway, I'm happy to report, it's a solid Western! My son's distaste at the hammy acting, I think, is aimed at some of the minor characters who, I have a hunch, were hired to go against type: they appear to have hired locals (it was filmed in New Mexico) and I have to admit sometimes the "acting" was a little challenged. A waitress looked grizzled and authentic, but she really couldn't act and you could almost see her reading her lines. And a pretty bank teller about half way in, was pretty, as in pretty weak. Meanwhile, Buck Taylor has a memorable cameo. (Actually that's redundant, when does Buck NOT have a memorable cameo? He was the best thing in Cowboys & Aliens) Here, Buck plays a west Texas cowboy in a bank that's about to be robbed, and he's heeled. I won't spoil it, but he is a joy to watch. Just damn authentic in every way. 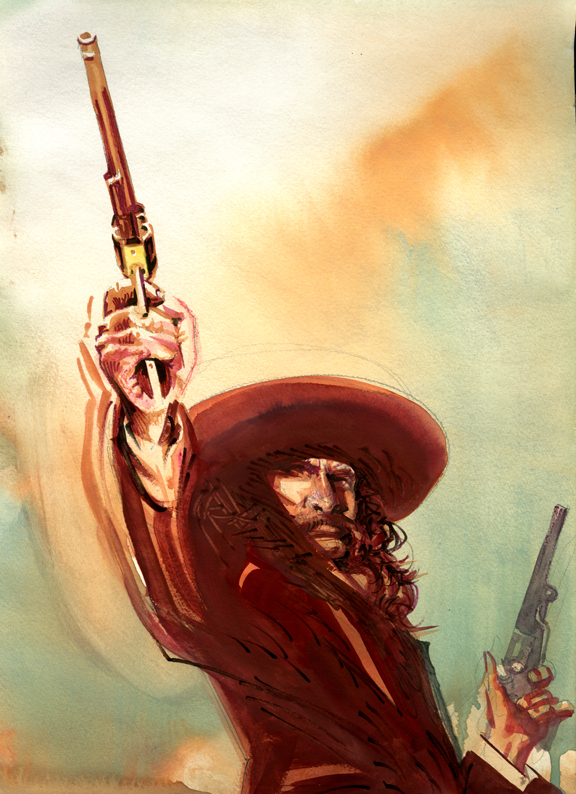 Jeff Bridges is also excellent as a Texas Ranger and if his portrayal seems somewhat familiar, it's no accident. Like Nick Nolte before him, Jeff went to the late, great Joaquin Jackson to get the look and to get the attitude of a modern day Ranger. Jackson passed June 15 and we did an obit on him in the magazine, but we are planning a bigger tribute in the next issue. End of 2006 blog post. 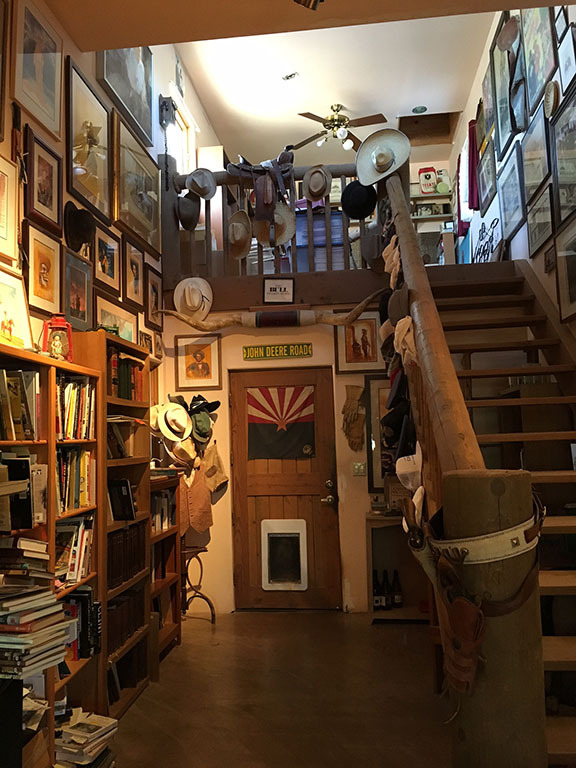 According to Joaquin, Nolte spent three weeks in Alpine, Texas shadowing the retired Texas Ranger, learning the day-to-day activities of a typical Ranger. Jackson admitted to me he was stunned at how accurate Nolte was at capturing his manner of speaking and even his walk. 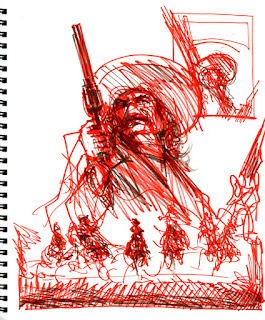 The resulting movie, Extreme Prejudice (1987) was allegedly an homage, or remake of The Wild Bunch. Both films end with a massive gunfight in a Mexican border town. The title comes from "terminate with extreme prejudice" a phrase made popular by Apocalypse Now, which was also written by John Millius. 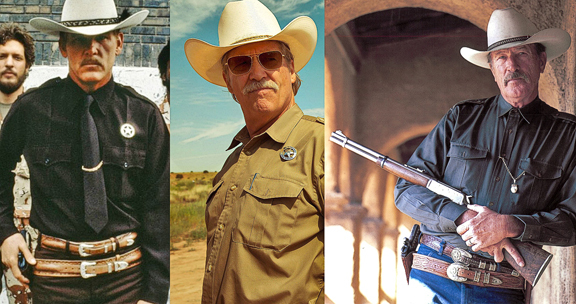 Both Extreme Prejudice and the just released Hell Or High Water, utilized the experience of the "Hollywood Ranger," as some came to refer to Joaquin, but not to his face. The Three Joaquins: Nick Nolte, Jeff Bridges and the guy they were channeling. Ben Foster said he wanted a rabbit tooth to help him portray Tanner Howard, the ex-con, volatile, bank robbing brother in "Hell Or High Water." 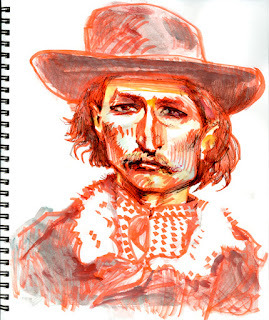 He tells The New Yorker why he wanted a rabbit's tooth for his portrayal: ". . .a rabbit tooth made sense, because the two influences I looked to for Tanner were Bugs Bunny and Waylon Jennings. Bugs because of the rascal, and Waylon because Waylon was, like, 'No matter what, we got this covered.' He was a man of joy, just like Bugs was a wabbit of joy." The film is worth seeing just to watch Ben Foster do his genius—crazy wabbit—thang. "History is the sum total of the things that could have been avoided." 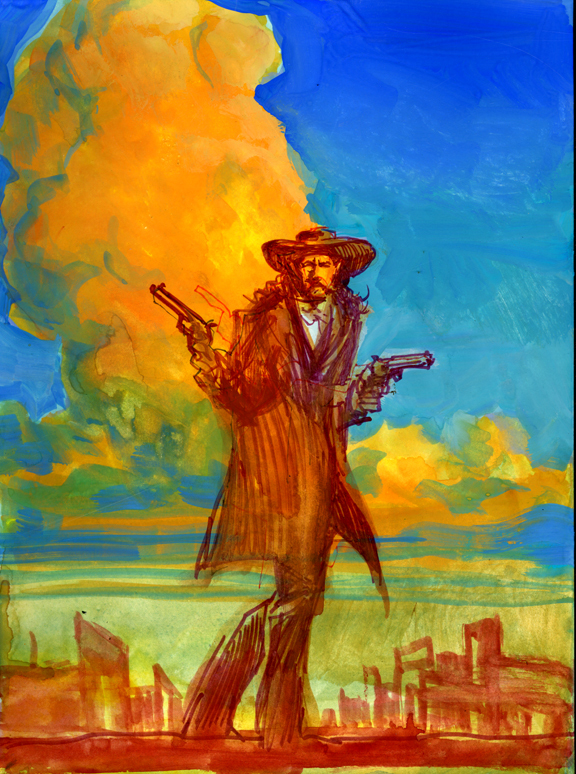 Thought I'd take one more crack at the Wild Bill Hickok cover concept. 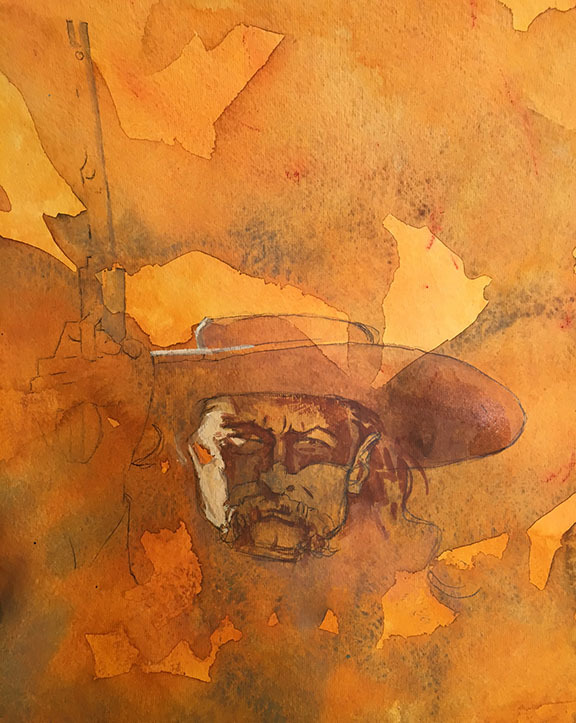 Found an old patina painting I whipped out a year-or-so ago and thought it had enough random integrity, that i might make an excellent ground for the painting. Transferred a tight pencil sketch late yesterday afternoon. 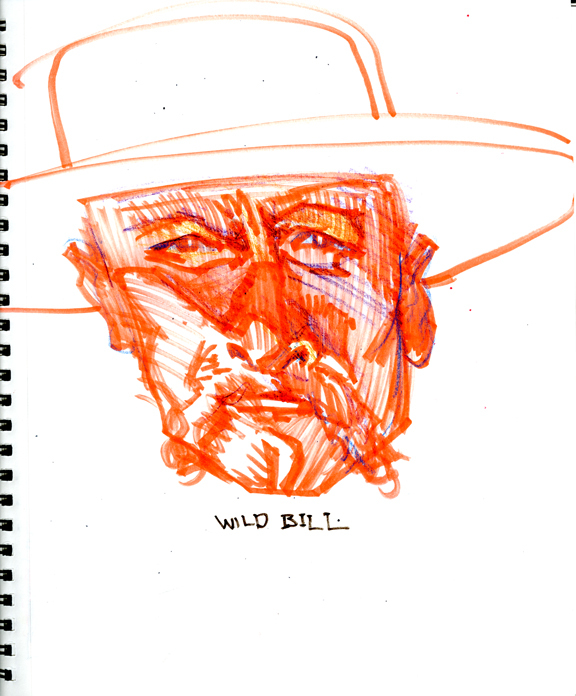 Daily Whip Out: "Wild Bill Study"
Got up this morning and bailed in around 6:30. Needed to finish before I went into work at nine. Daily Whip Out: "Wild Bill In Smoke"
Daily Whip Out: "Wild Bill Advances"
"Hickok arrived in New York with a flourish: he beat up a cab driver who tried to cheat him and told [Buffalo Bill] Cody that he would never make an actor. . .Cody realized he would have problems, because although Hickok 'had a fine stage appearance and was a handsome fellow, and possessed a good strong voice, yet when he went upon the stage before an audience, it was almost impossible for him to utter a word. . .according to the New York Clipper of September 15, 1873, Hickok walked on stage one night and 'gave an exhibition of rapid pistol-shooting and fancy shots.' 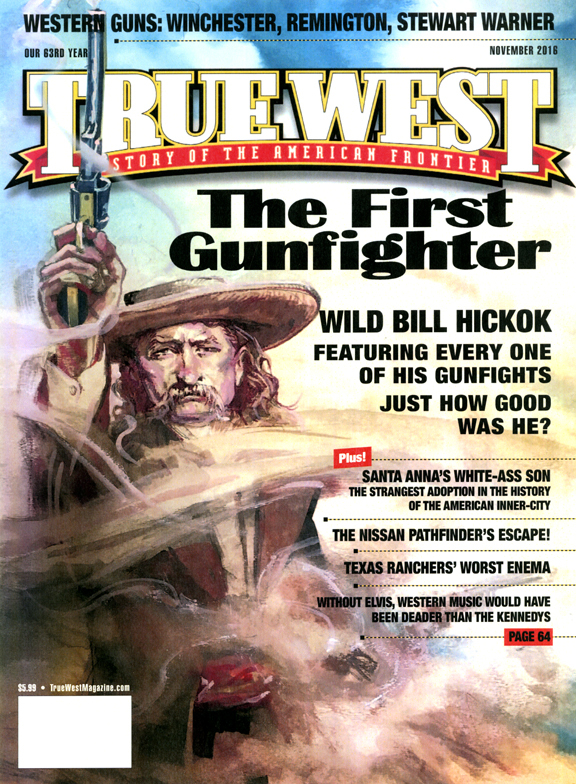 It's impact must have been impressive, for Hickok's nationwide reputation had been built up around his ability with pistols and the number of 'bad men' he was credited with putting away in the interest of law and order. 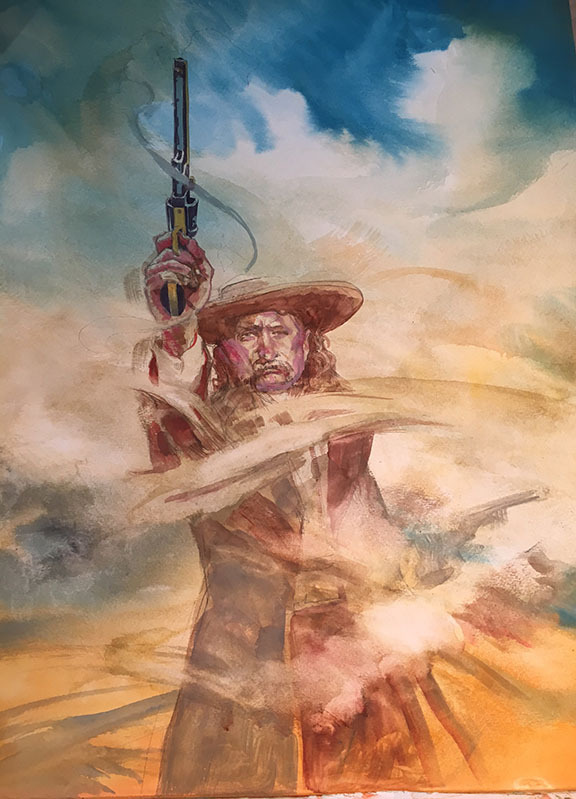 Consequently, the sight of Wild Bill suddenly drawing a pair of Colt's Navy revolvers and opening fire 'Gatling gun fashion' (despite the cloud of powder smoke engulfing the first three rows) must have thrilled an already captivated audience." 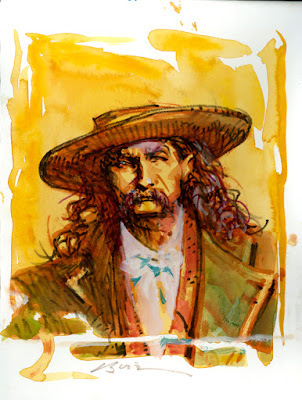 —Joseph G. Rosa, in his book "Wild Bill Hickok: The Man & His Myth"
"Wild Bill was a bad actor most anywhere, but he was an especially bad actor on the stage." Pardon my hyperbole, but I've never seen such angst ridden clouds in my life. 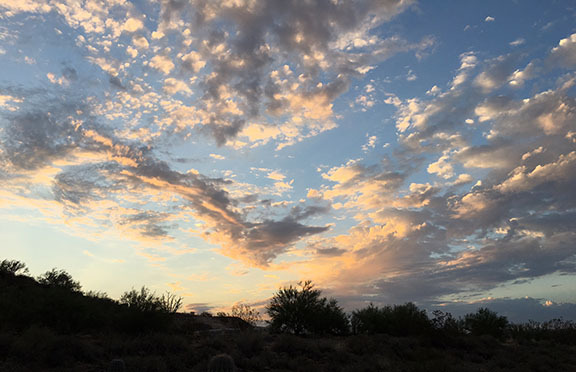 And, I must add, this is NOT tweaked or enhanced in Photoshop—this is straight off my iPhone, as is. 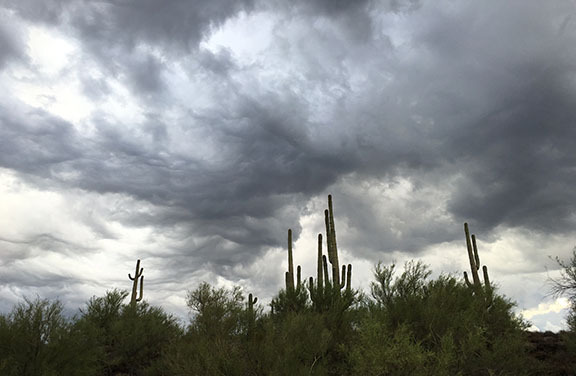 Check out those dramatic swirls and angry tufts of wet air twisting across this cactus riddled ridge up on Morningstar. 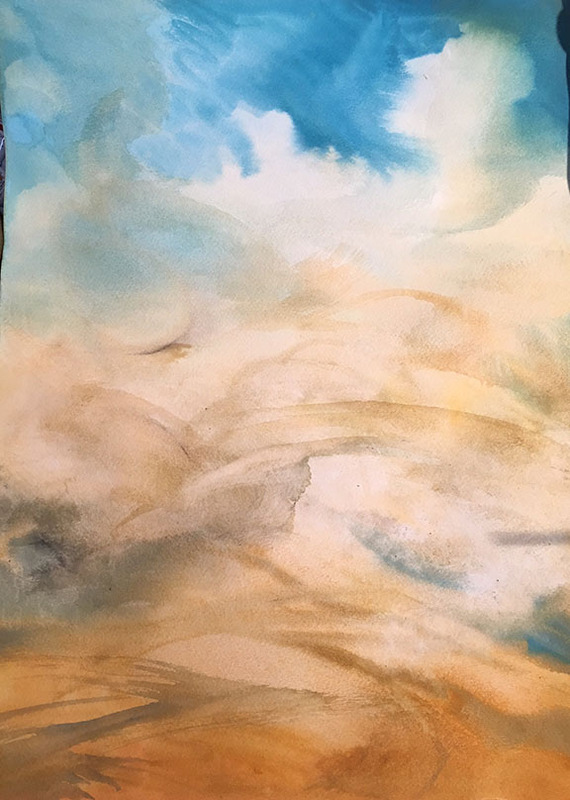 "Violent Skies," would be my name for a subsequent painting—assuming I can even capture the subtle, rippled torque of it all. Took these yesterday on my walk up Old Stage Road. 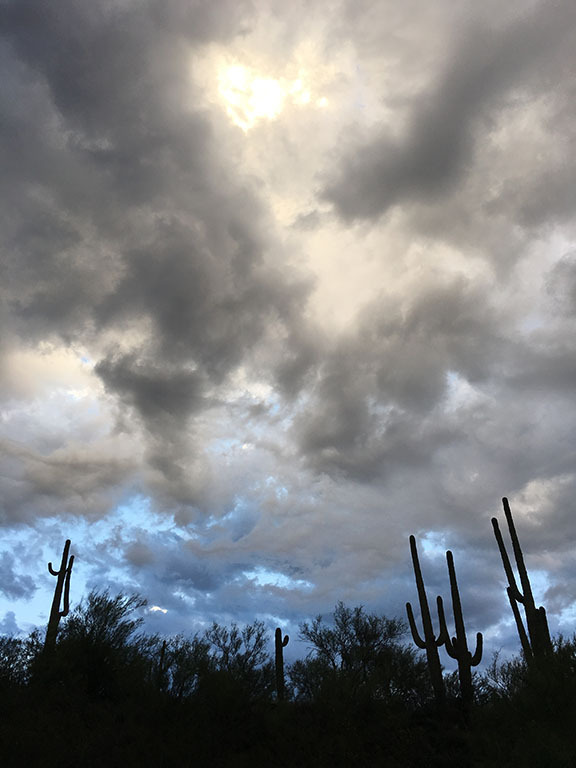 Although these dramatic skies are a wonderful distraction, I am still hell bent on finishing my Wild Bill cover concept and I charged back to the studio with renewed energy, chocked full of new approaches and a willingness to roll up my sleeves (metaphorically, since I'm in a paint splattered T-shirt) and bail in with new vigor. "Jack McCall, I'm thankful to you, even though you've killed me. 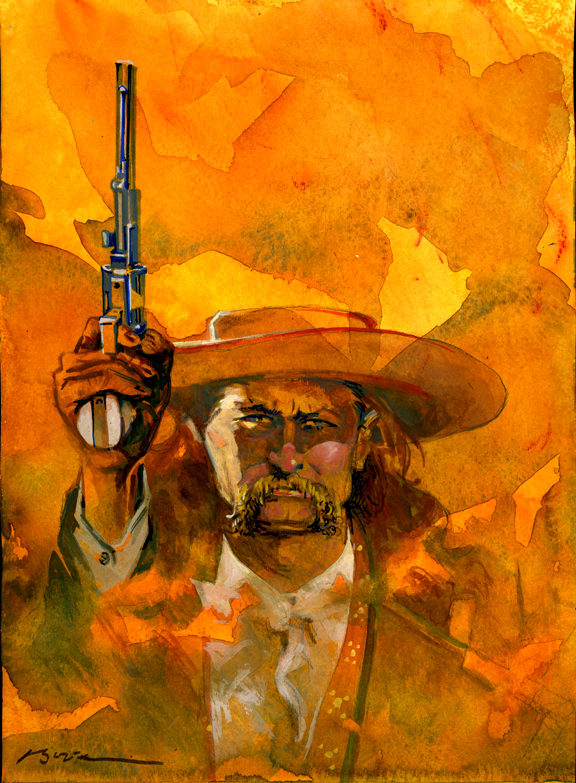 Wild Bill does not die by the hand of a woman." Trying out some different cover ideas, to see where it goes and to get unstuck from the last go 'round. 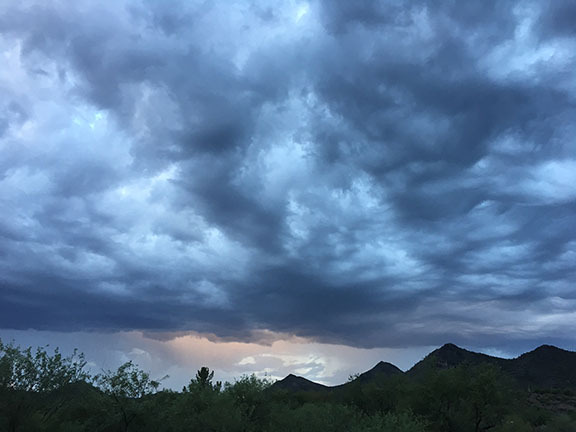 Daily Whip Out: "Wild Bill In The Sky"
Daily Whip Out: "Wild Bill In Storm"
"I was writing to impress people, and it turns out that when you do that, you write very unimpressive prose." —Nathan Hill, first time novelist talking about the path to his forthcoming book, "The Nix"
Remember, a couple days ago, when I mentioned that Dan Harshberger likes to put in ridiculous cover headlines to fill space? Notice anything odd about the headlines in right hand corner? Texas Ranchers' Worst Enema"? "The Nissan Pathfinder's Escape!" See what I have to put up with? This time I need to have a stronger sketch to work from. 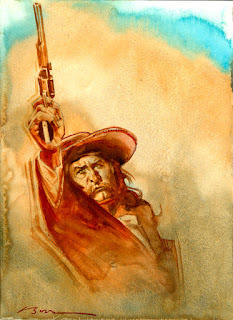 Thanks to Joseph Rosa I have plenty of good photo reference on the Prince of The Pistoleers. Got three sketches going this morning and will post progress. Wish me luck. 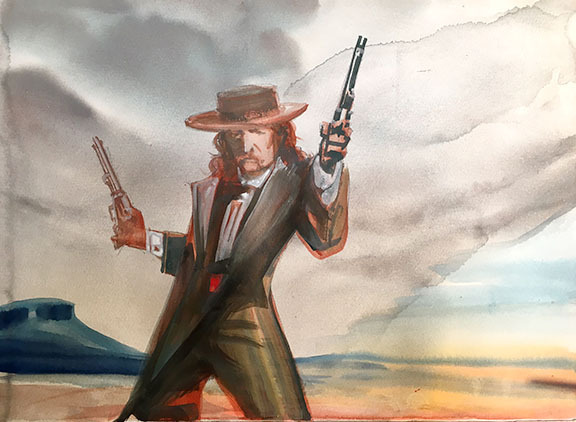 "Wild Bill Hickok proved on many occasions that he was not gun shy, and as evidenced by the number of his photographs that have surfaced, neither was he afraid of the camera." 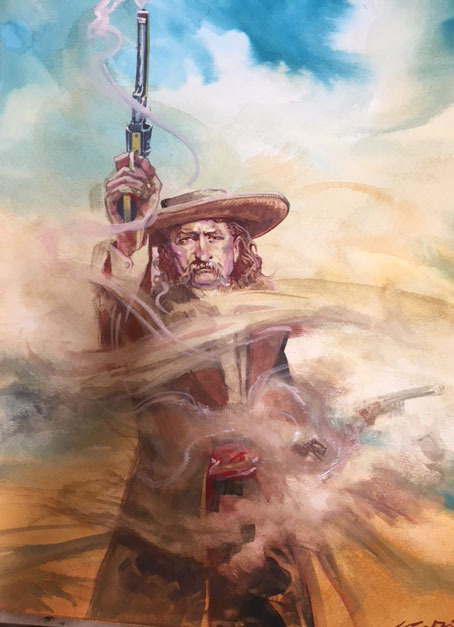 — The late Joseph G. Rosa's opening comments in his classic book "The West of Wild Bill Hickok"
Pink Panorama In The South! 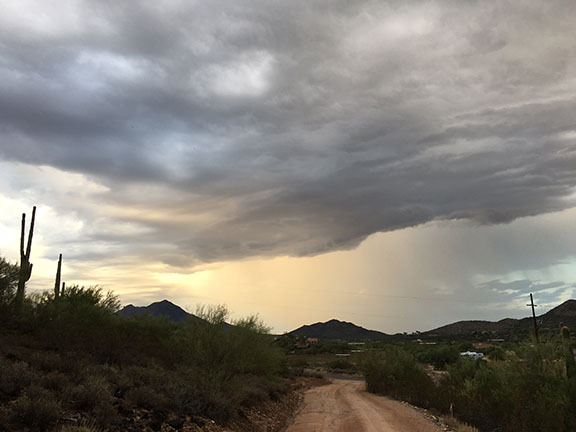 I got back to the house before the rain arrived, and when it finally did hit it was a gentle "female" rain, as those sexist Navajos like to put it. "Baby The Rain Must Fall." Very respectable start. Nice and loose. I followed this with a first pass on the figure and it had some nice little passages in it. 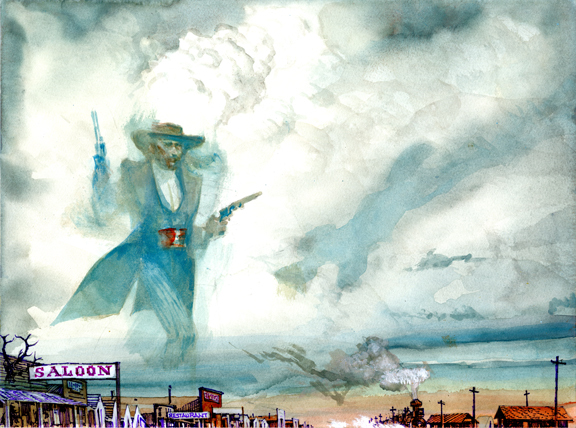 The gun smoke seems airy and light and the painting is alive. The problem with this one, for me, was that his face was too narrow and the smoke around his mid-section was a little odd (ending abruptly at his lapel for example) and I thought it needed work. So I took another pass at it. I had a life drawing instructor at the University of Arizona who would come around to see what each student was doing and he often would yell out, "Platypus hands!" when he saw egregious attempts at drawing hands too fat (which is a common mistake for beginners). I can just hear Mr. Scott yelling this at this painting, "Platypus Hand!" For some reason the smoke seems leaden, not light and airy like it was in the under painting. Wild Bill's expression went from formidable to flat out worried. Now the title should be "Why Is Wild Bill So Stressed Out?!" In the end it's the little things that killed it. The hand, the overworked face. If I had a better sketch to start with I wouldn't be wing-dinging it so much at the end. And that's what I think killed the piece. At lunchtime, I washed out the swirls and gave it one more pass on the weak areas: left side of face, hair, sash, fingers, gun barrel and the pistol in his left hand. Finished at two and brought it back to the office. 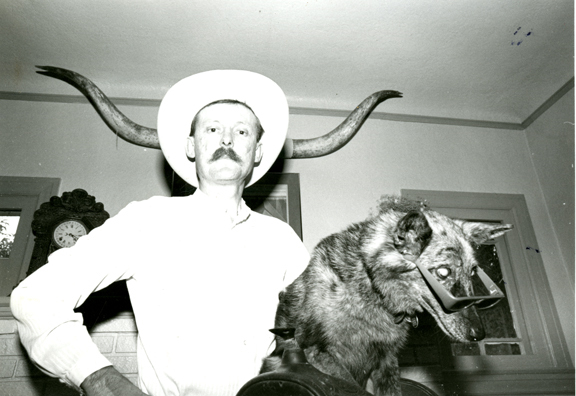 Wild Bill was a "mild-apprearing, somewhat sad-faced man," who "bent low in a courtly bow." 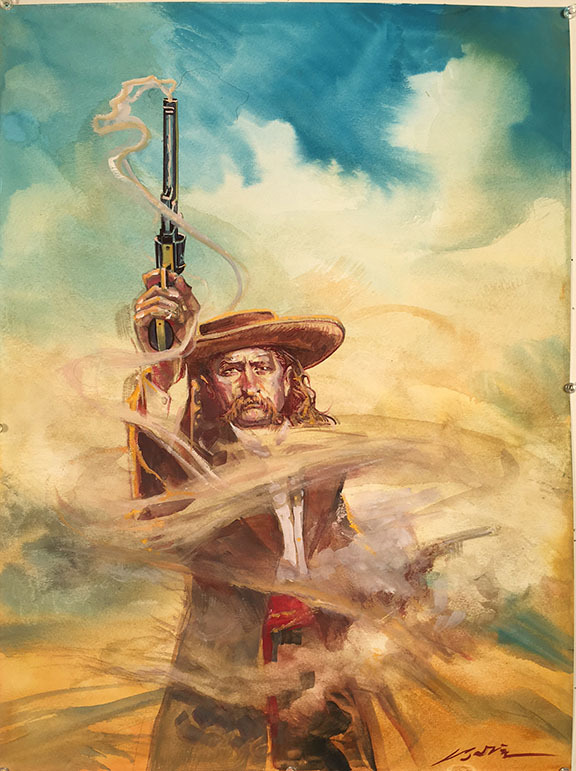 "Wild Bill Advances Through the Smoke." Knuckled down and "finished" at 8:40. Now to get dressed and go into the office and scan this sucker. 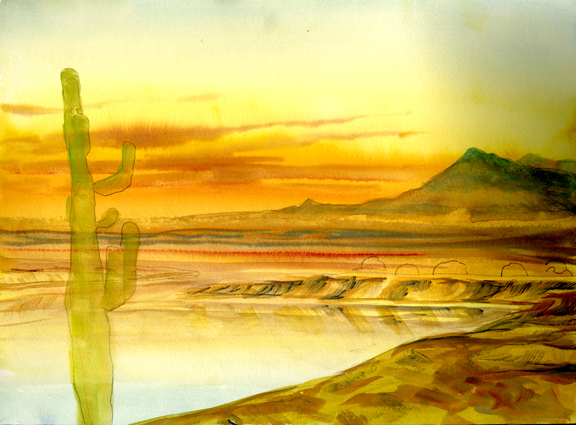 It's big: 17.75 X 24 inches, which won't fit in the scanner. 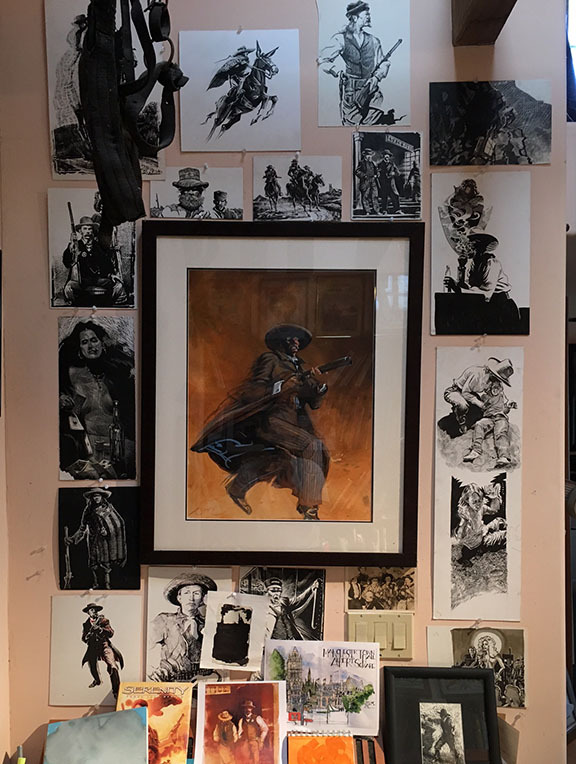 Robert Ray tacks it up to the wall next to his desk and shoots a photo with the True West camera, then that is downloaded into photoshop and sent to Dan The Man to see if he can make a cover out of it. "Art is certainly not a pursuit for anyone who wants to make money. There are ever so many other ways." Daily Whip Out: "Wild Bill In Progress No. 4"
Daily Whip Out: "Wild Bill In Progress No. 4.5"
These are not technically "whip outs" because I started this morning and did a one-hour-session, then came home for lunch and did another one-hour session. The trick now is to bring out some areas but leave the rest alone. Wish me luck. 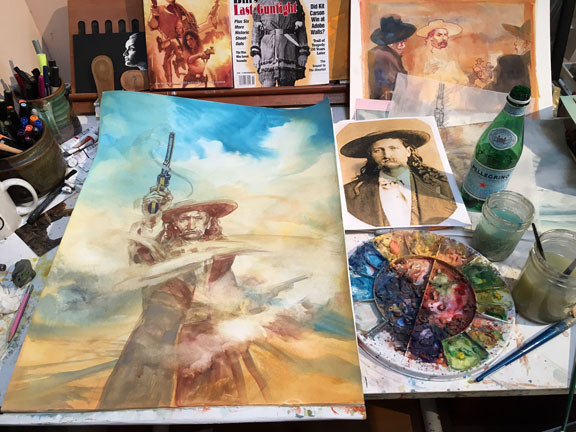 "That's nothing, Wild Bill, I have killed hundreds of paintings by pushing them too far, and they were all real close." On the hunt to finish the final for Wild Bill Hickok feature. 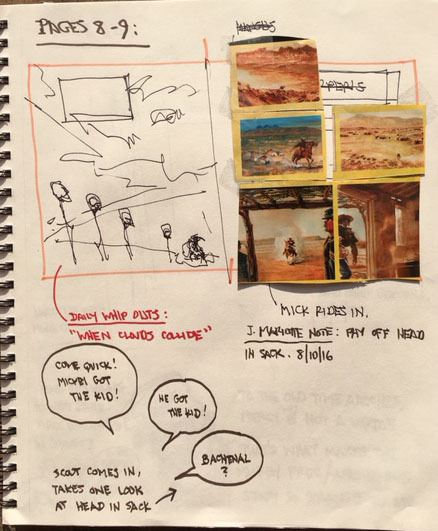 First, I gathered all of my reference material, which included a photo session I did with the artist Jerry Crandall a decade, or so, ago. He had the rig and the outfit and I shot off a roll of film in our back yard for future reference, and here we are. Daily Whip Out: "Wild Bill In Progress No. 1"
In this first phase I am just trying to nail a background of sky, ground and smoke (swirling from the barrels of his Navy Colts). I haven't even put the main figure in yet. I'm just auditioning backgrounds at the moment. Daily Whip Out: "Wild Bill In Progress No. 2"
Added more smoke and toned back the upper area. Clouds were too raw. 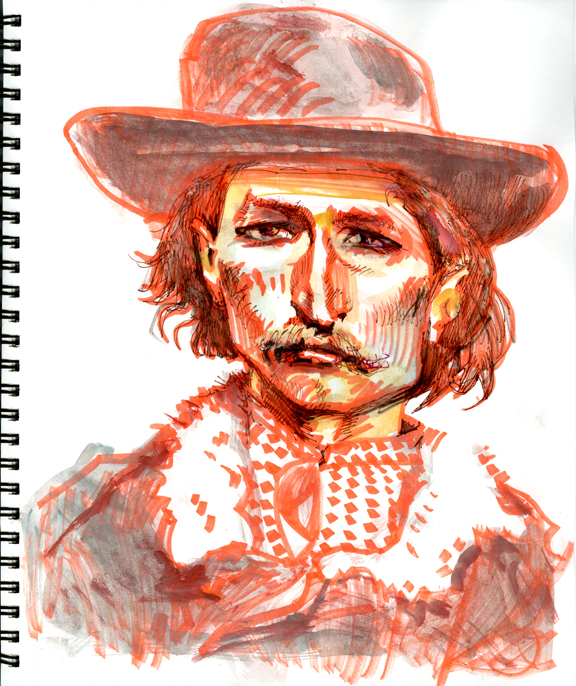 Also hauled out the prime facial reference, which is in Joespeh Rosa's classic book, "The West of Wild Bill Hickok." I brought the book home last night from the office and had several things to bring in the house, including mail, sketchbook, paperwork from Carole, etc. For some reason I put the Rosa book on our adobe wall by the front gate and then promptly went into the house and forgot to come back out and retrieve it. Of course, it rained last night and I went out for my walk and there it was, a limp mess of stuck together paper. The good news is, I own two copies of the book, so this one is basically ruined, but I got a semi-funny story out of it. Also, did a tight sketch of the figure on tracing paper and when the paint on the background dries, I'm ready to position the main figure. Nervous. This is the moment of truth. 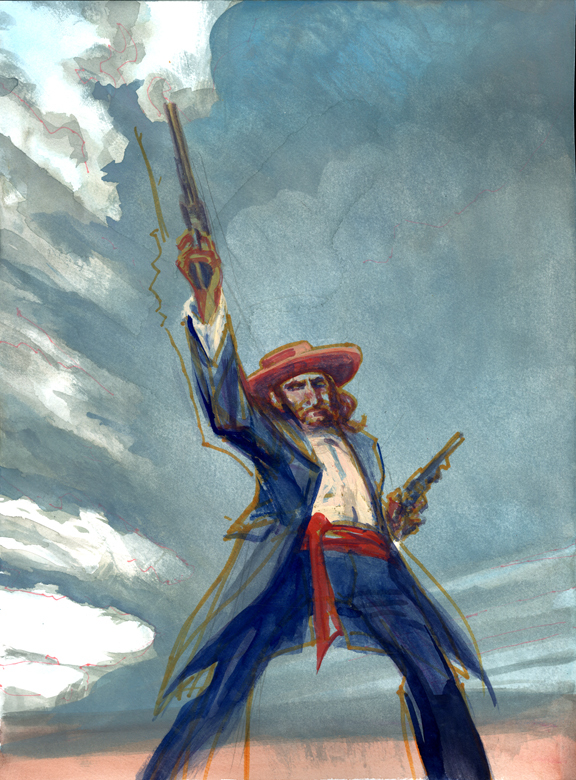 If the figure isn't anatomically correct, everything dies and it's a very ambitious pose, with the foreshortened arm raising a pistol, with Hickok in a gunfighter stance, all very complicated. As to the anatomical deal, the verdict is still out (see previous sketches from yesterday's post) But, I'm hopeful. I also have a Design Review meeting in two hours so I'm under the gun (ahem). Daily Whip Out: "Wild Bill In Progress No. 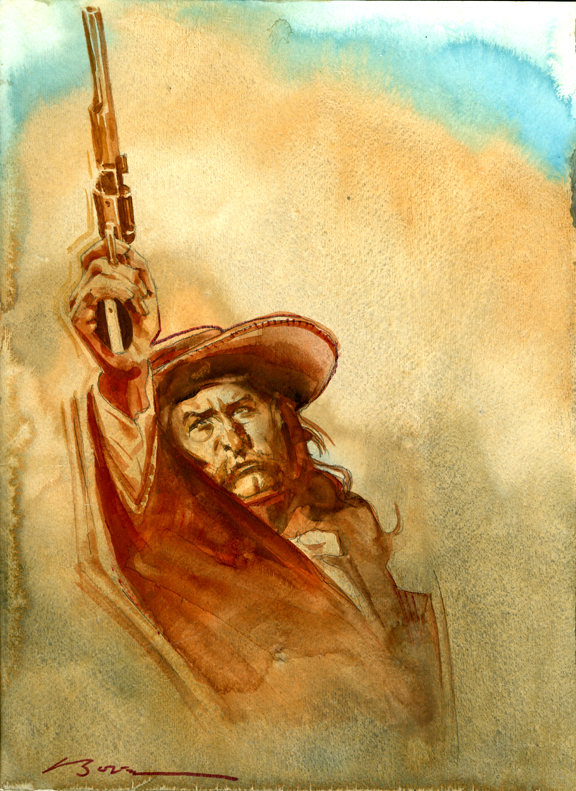 3"
The trick will be to feather in the figure of Wild Bill but not kill the subtle gunsmoke swirling around him. Normally I would build this from the ground up with the figure already in place, but I knew the figure would intimidate me into compromising the smoke. Ideally he should be surrounded by gun smoke, with the curls and whisps of the smoke eating away at his arm and midsection. Ideally, he should appear almost ghostlike. This is working it in backwards which I gravitate towards because of my scratchboard work, but it also has its drawbacks as well. 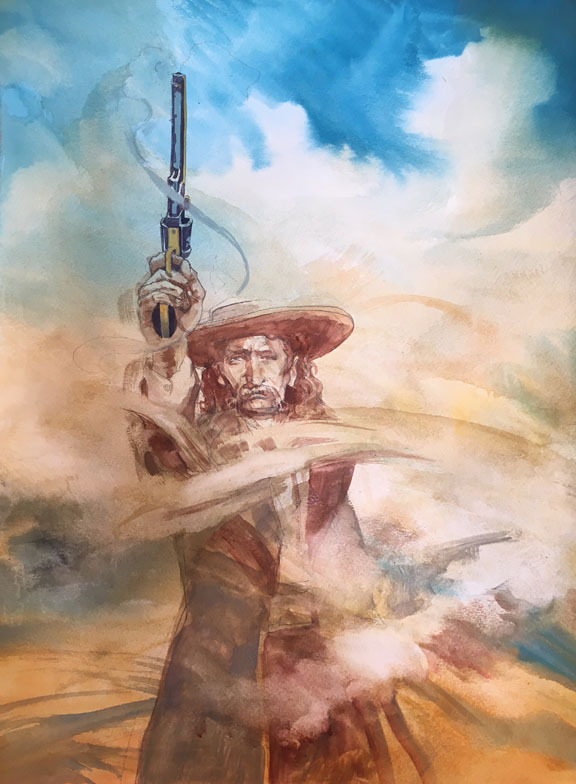 I have dodged one problem only to run into another: the gun smoke can intimidate the figure, or, I should say, intimidates me. It takes courage to dive into something like this, rather than, say, write up a blog post about having the courage. "If you knew what a wholesome regard I have for damn liars and rascals they would be lieable to keep out of my way." 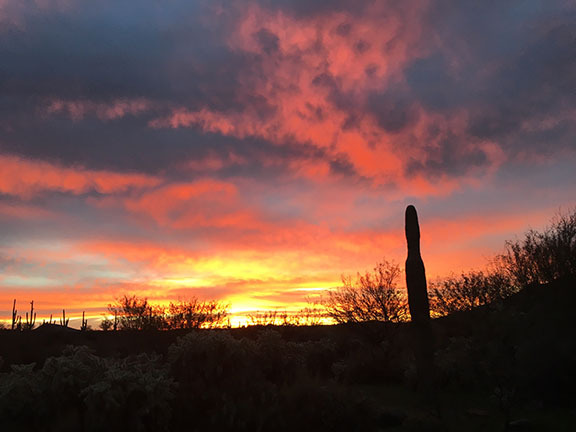 One of the rewards of getting up before the crack of dawn, is going out on the road to catch a glimpse of the crack of dawn. The Crack of Dawn this morning. 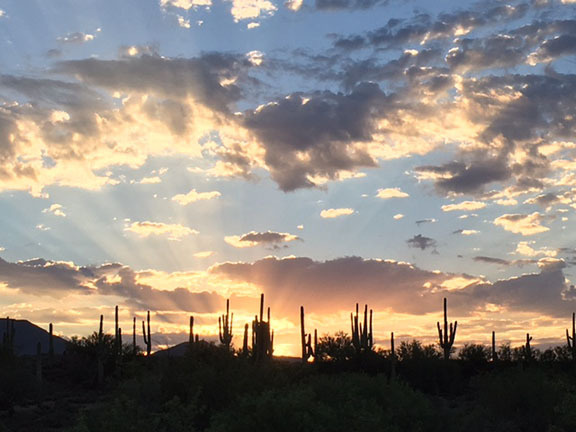 The crack of dawn a couple days ago. The crack of dawn a couple days before that. The crack of dawn last week. The crack of dawn last November. 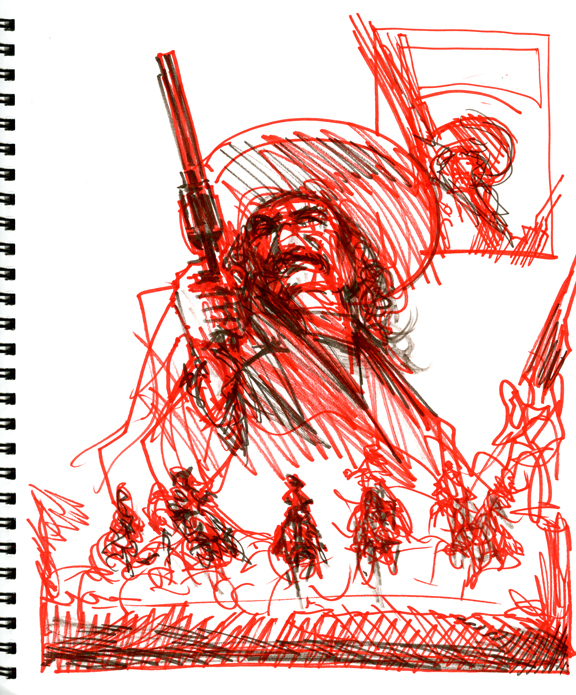 "The early bird gets the crack of dawn down pretty good"
Daily Whip Outs: "Wild Bill Cover Roughs"
Daily Whip Out: "A Rough for The Town Tamer"
Need to add a cowtown and railroad tracks. May not be exactly right, but I'm in a whippin' mood, and besides. . .
"Those who laugh are always right." Got out on Old Stage Road this morning before six. Cooler, 73 degrees out. 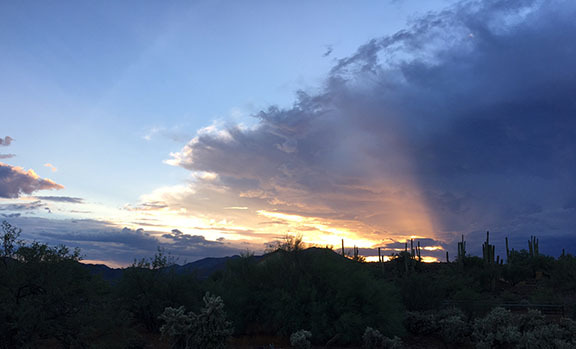 Witnessed a big, splashy sunrise over the Continental Mountains. 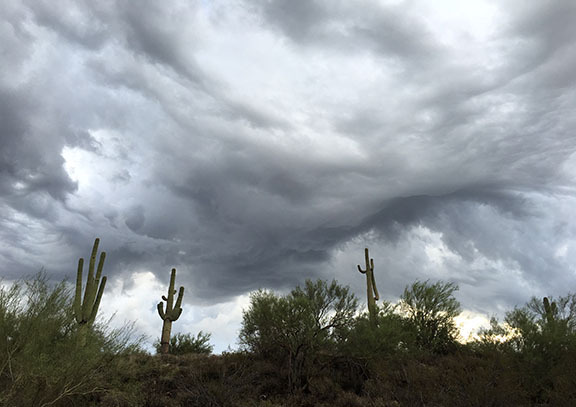 You can't make up these cloud formations. 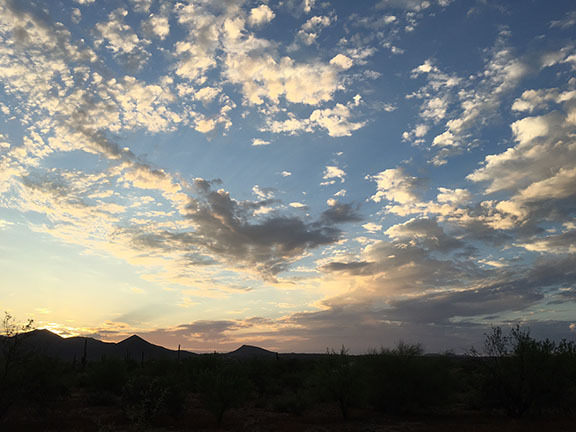 Scorpion Tail Sunrise, 5:58 a.m.
Sunrise Mush Out, 6:07 a.m.
By the time I got back to my studio, it was all gone. Just like life. We're born, we flicker briefly and then we flame out. Ah, speaking of my life's work. . . Struggling with several other problems. More than a few involve lack of skill (to match my ambition), others involve focus, still others involve dedication. The trick, for me, is to stop one ball, take a real good, hard look at it, and then take a nap. I'm reworking a splash page doubletruck for the Mickey Free graphic novel. 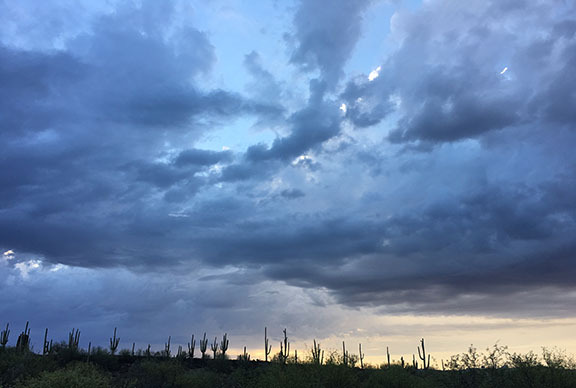 I'm trying to capture that early morning light on the banks of the Gila River. 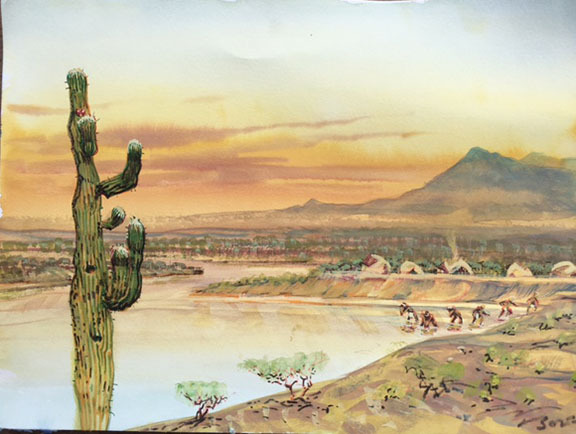 This is the underpainting, without the Apache village (see pencil marks, middle right), or the young Apache warriors-in-training taking their first gulp of water. 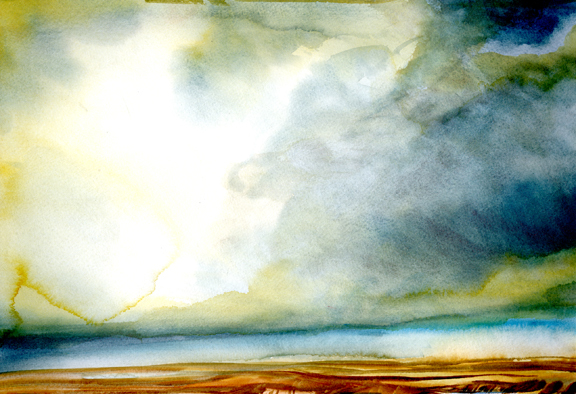 The tone is right, but the toughest work is to add in those elements without destroying the feel. Verdict coming soon enough. 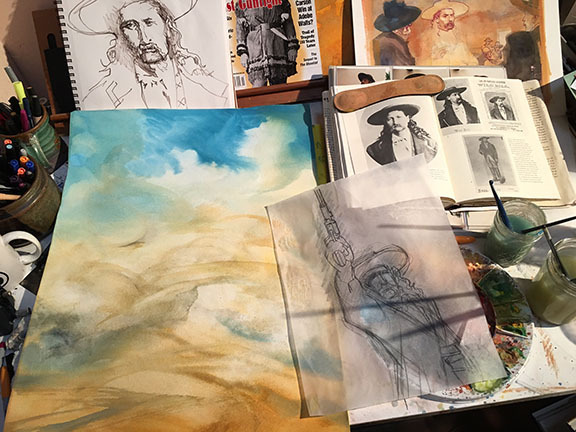 Daily Whip Out: "Underpainting for Gila River Sunrise"
I often work on several underpaintings at the same time, especially if I have a pool of mixed paint that rings right in the sweet spot. 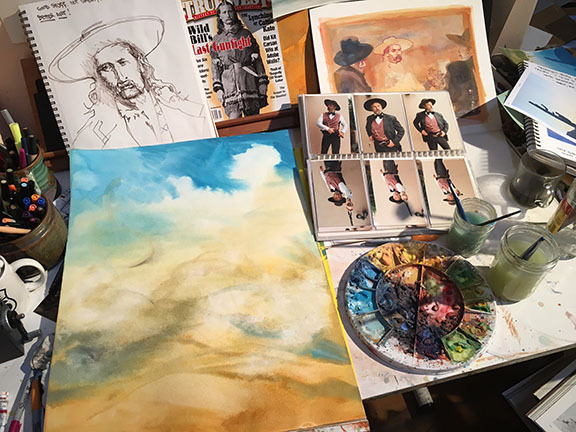 In addition to the Mickey Free underpainting posted previously, here are two more skies in progress, aimed at a Wild Bill Hickok doubletruck I'm working on for the November issue of True West magazine. 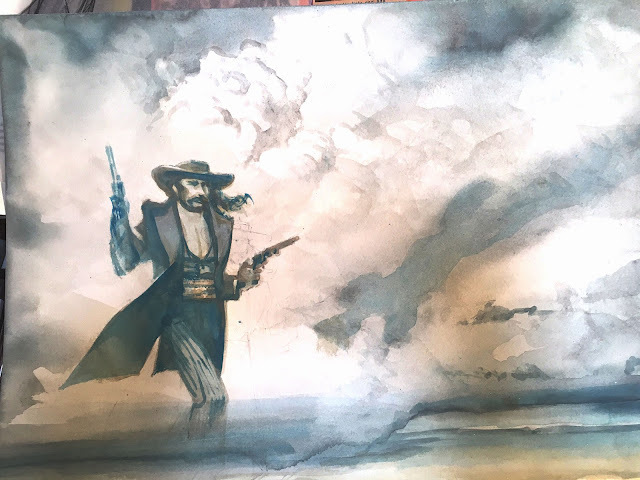 Daily Whip Out: "Underpainting #1 for 'The Town Tamer'"
Daily Whip Out: "Underpainting #2 for 'The Town Tamer'"
Unfortunately, these two scans do not show the subtlety of the cloud forms in the white space which actually has some very strong shape and tone. 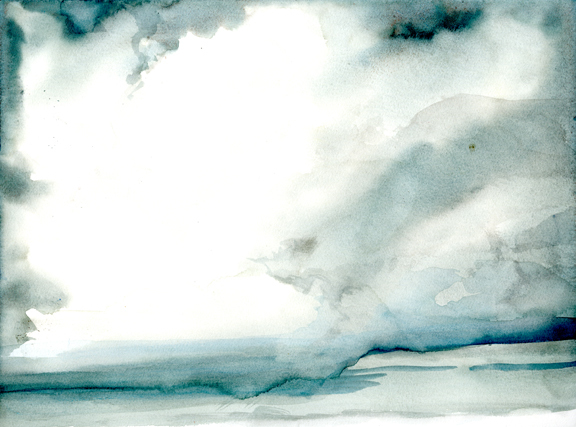 Not sure why it's not showing (disturbing, since I'm really trying to hold back on pushing the cloud shapes too far). The scans also exaggerate the blue, which is in person actually more gray. "If you can't write your idea on the back of a business card, you don't have a clear idea."